본 연구는 최근 증가하고 있는 국내 온라인 네이티브 광고의 광고 표식을 분석하였다. 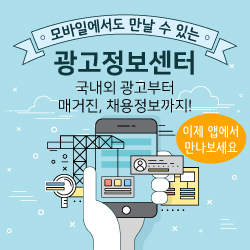 미국 연방거래위원회(Federal Trade Commission: FTC)의 네이티브 광고 표식 가이드라인을 기준으로, 주요 언론사들의 광고 표식을 위치, 현저성, 명료성을 중심으로 살펴보았다. 총 68개 언론사에서 수집된 73개의 네이티브 광고를 내용 분석한 결과, 국내 네이티브 광고의 광고 표식은 대부분 콘텐츠 하단에 명시되어 위치와 관련한 문제가 심각한 것으로 드러났다. 또한 광고 표식을 소비자가 쉽게 인지할 수 있도록 하는 시각적 단서 등이 부족해 현저성 측면에서 개선이 필요한 것이 밝혀졌다. 국내의 광고 표식은 명료성 측면에서도 문제가 발견되었는데, 광고 표식에 사용된 용어들의 과반수 이상이 ‘지원’, ‘협찬’과 같은 단어의 변형을 활용하여 명확성이 떨어졌고, 권장되는 ‘광고’라는 단어의 변형 또한 ‘애드버토리얼’이라는 단어가 빈번하게 사용되는 문제점이 발견되었다. 소셜 미디어상으로 네이티브 광고를 공유했을 때도 광고 표식이 나타나는 경우는 12.5%에 그치고 있었다. 연구 결과는 국내 네이티브 광고 표식의 현황과 문제점을 지적하고 있으며, 국내의 실정에 맞는, 구체적인 가이드라인 제정이 필요함을 보여 준다. The purpose of this study is to investigate the sponsorship disclosures of native advertisements in South Korea, according to the importance of their roles in growing native ads’ market. Based on the native advertising guidelines suggested by the Federal Trade Commission in United States, we examined the position, prominence and clarity of sponsorship disclosures displayed in major media outlets. Seventy-three native ads cases were collected from sixty-eight media outlets, and we conducted content analysis. Results suggested that most of sponsorship disclosures in South Korea has a problem with the position, since they were put in the bottom part of the contents. Also the prominence seemed to need improvements as well, considering the disclosures lacked visual cues to make consumers could easily recognize them. Additionally the clarity part was problematic, as more than half of the sponsorship disclosure used the words such as ‘sponsored by’, ‘promoted by’ or some variation thereof, which could make the meaning ambiguous. The words such as ‘ads’ or some variation thereof were also used a lot, but the obstacle remains because the term ‘advertorial’ was used frequently of which some of the Korean consumers might not understand the definition. It was more problematic when republished in social media, since only 12.5% of native ads showed the disclosures. The results reveal the current state of sponsorship disclosures in South Korea by analyzing thoroughly, and show the problems in detail. Also they indicate the need for specific guidelines of sponsorship disclosures in native ads, considering the South Korea’s actual state.